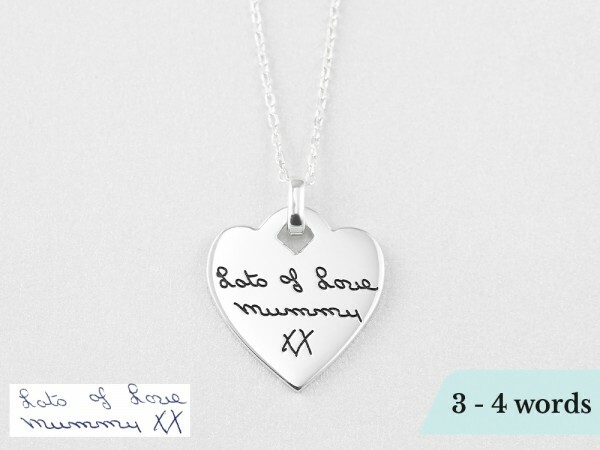 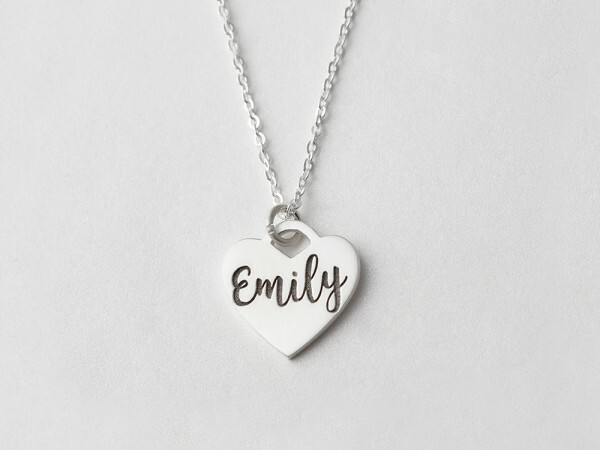 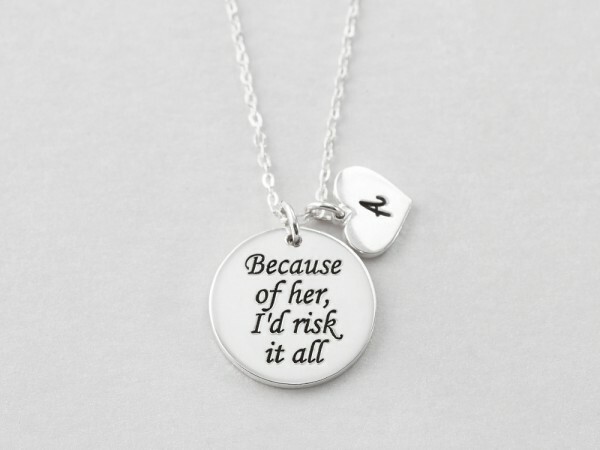 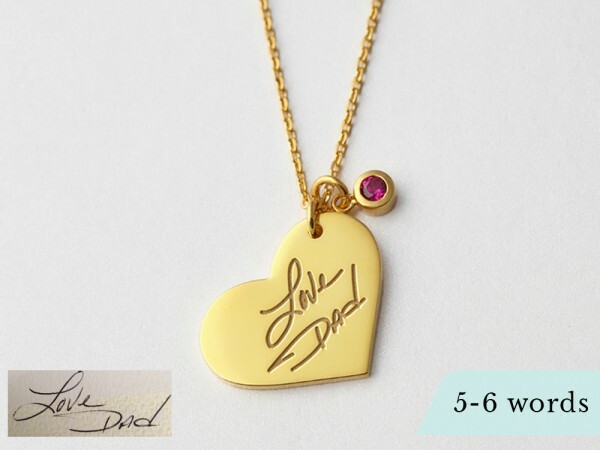 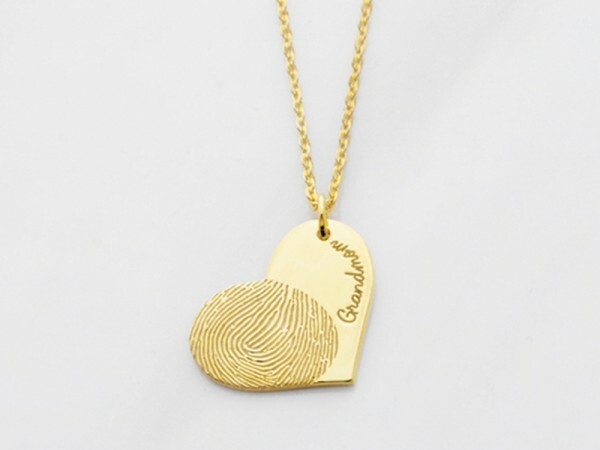 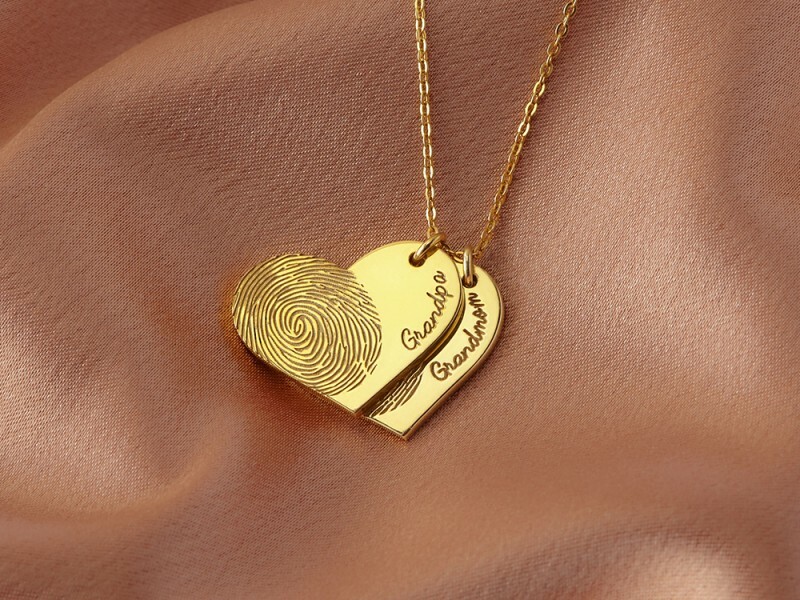 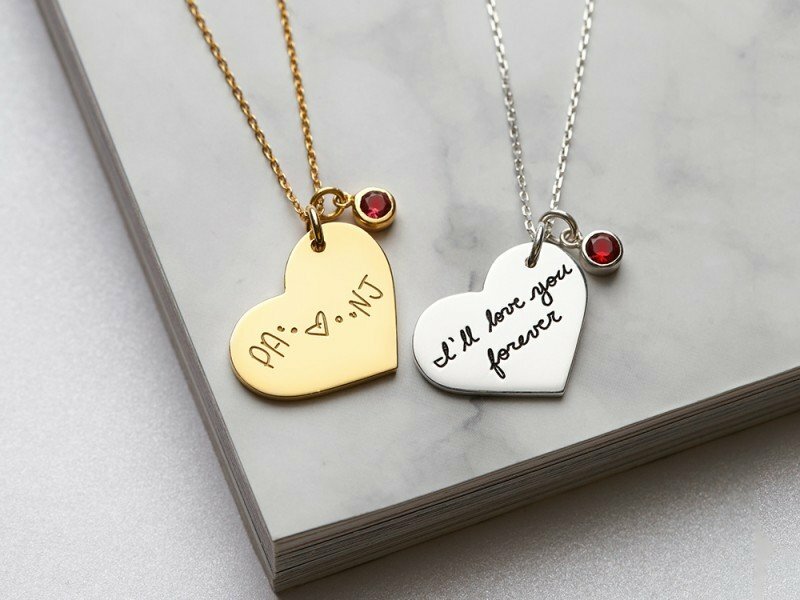 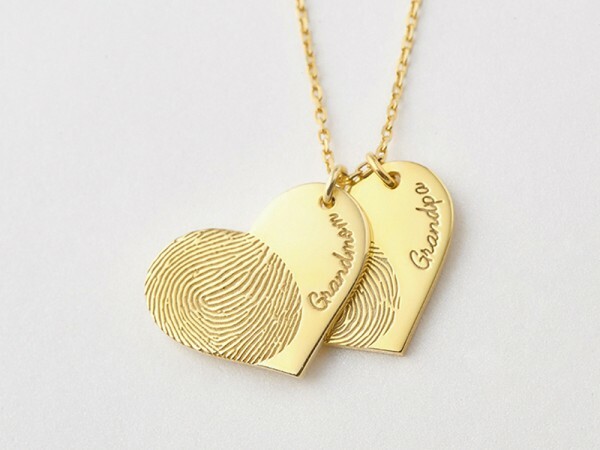 An engraved heart necklace personalized with names, dates, initials is a beautiful way to show your love, between couple or among family. 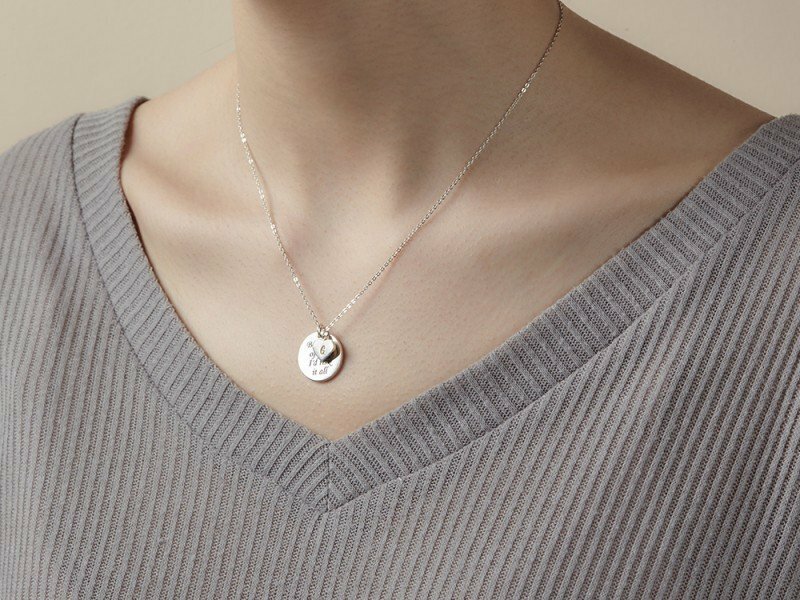 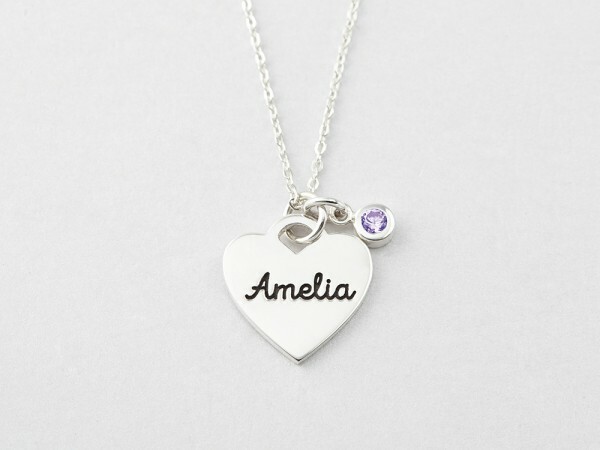 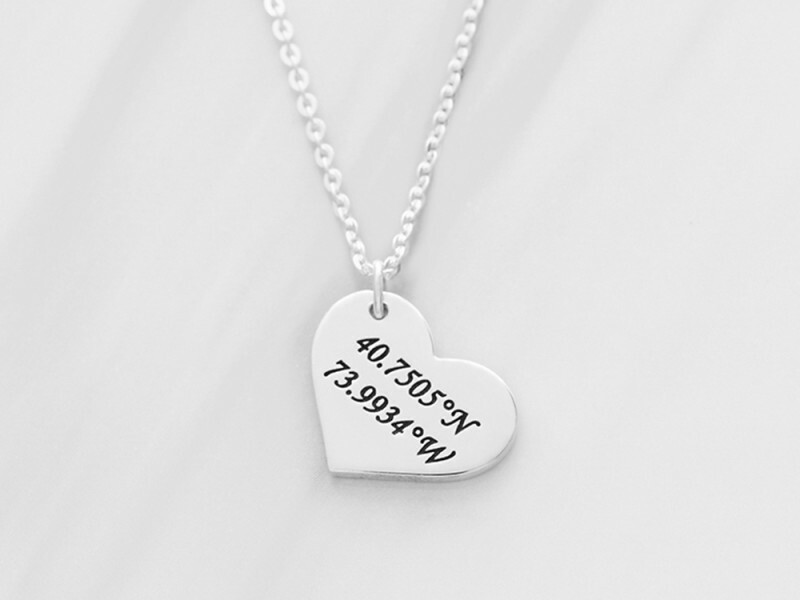 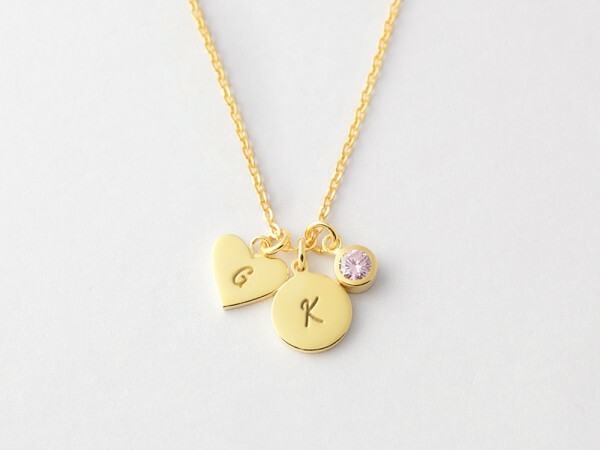 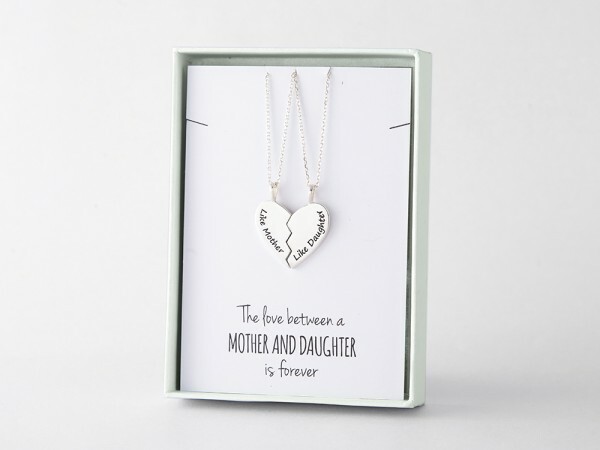 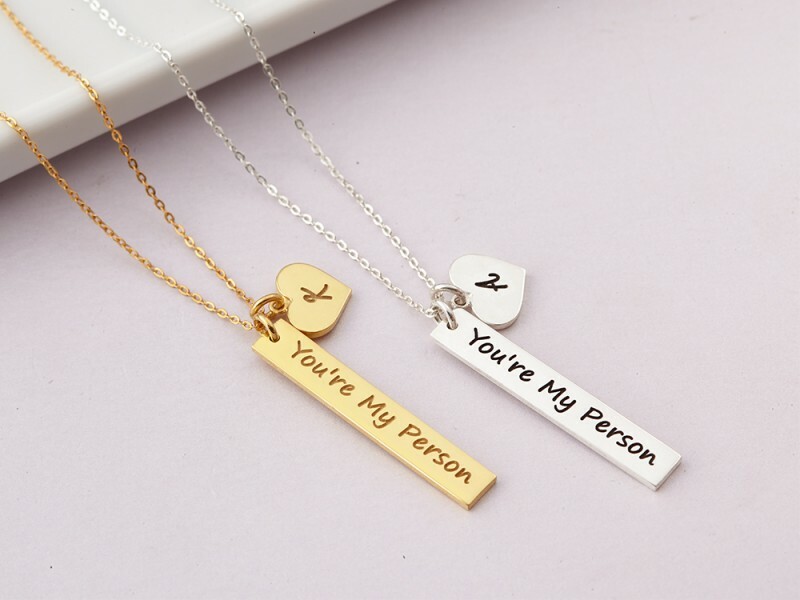 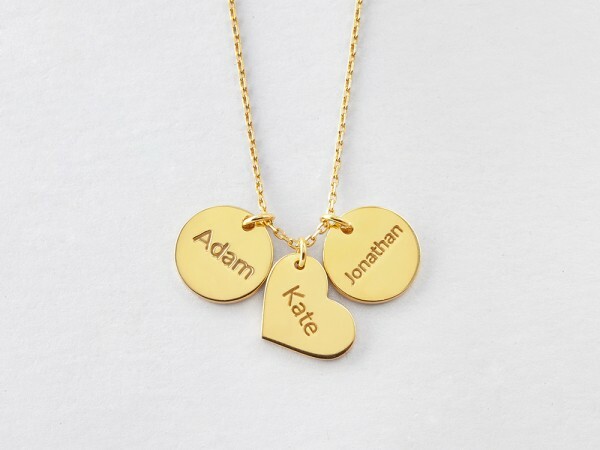 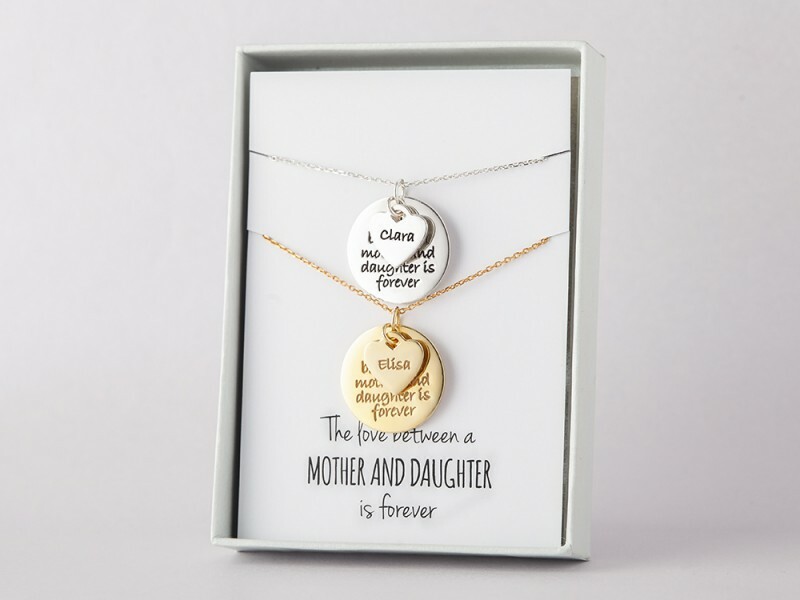 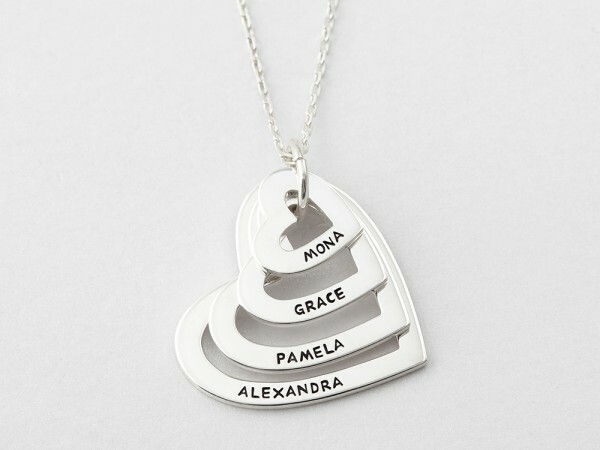 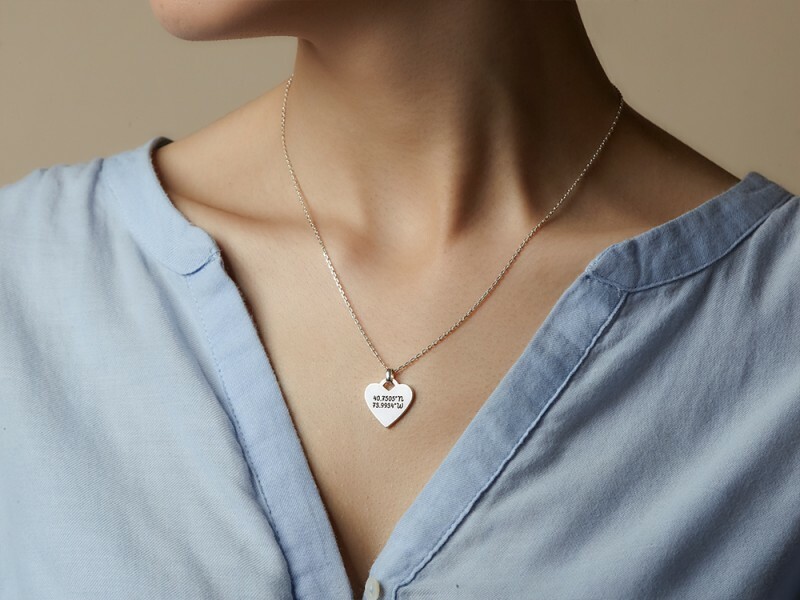 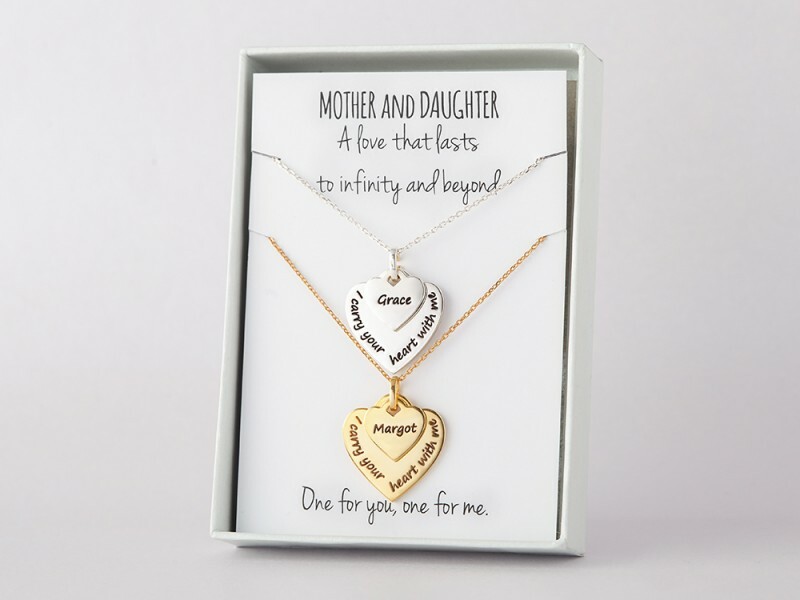 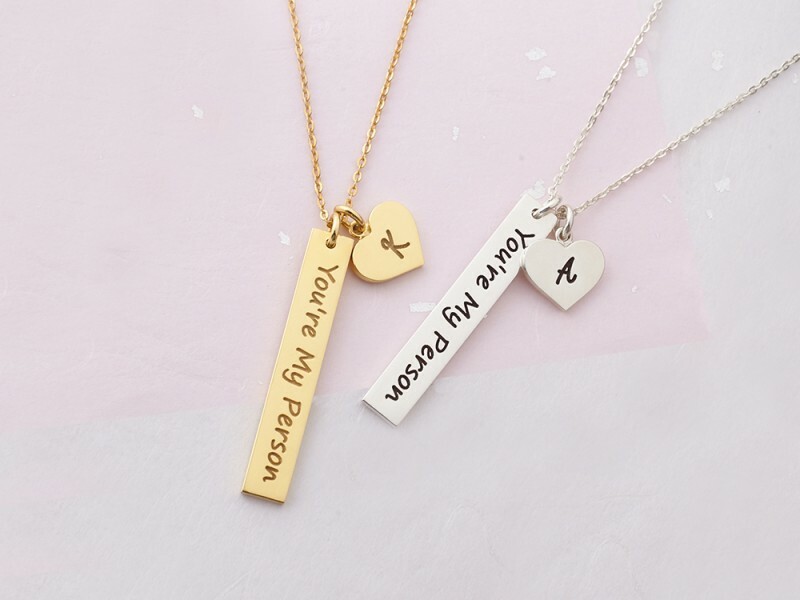 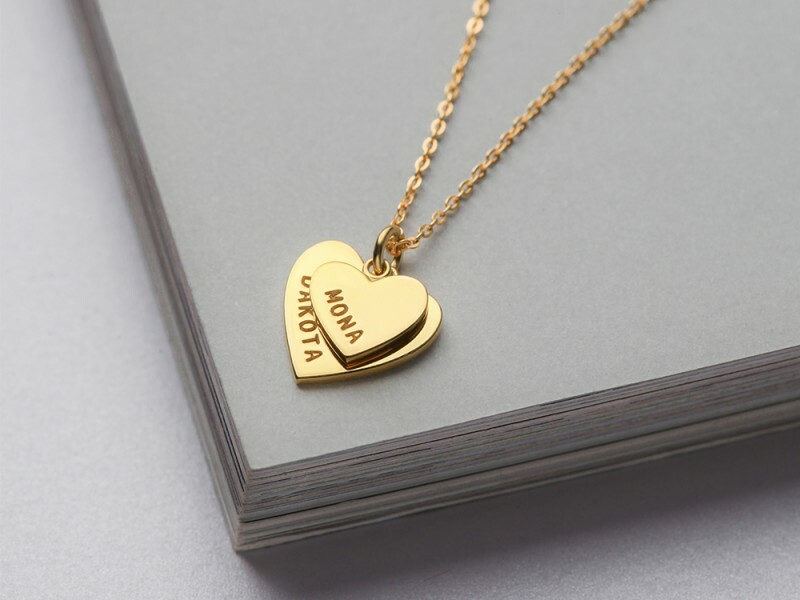 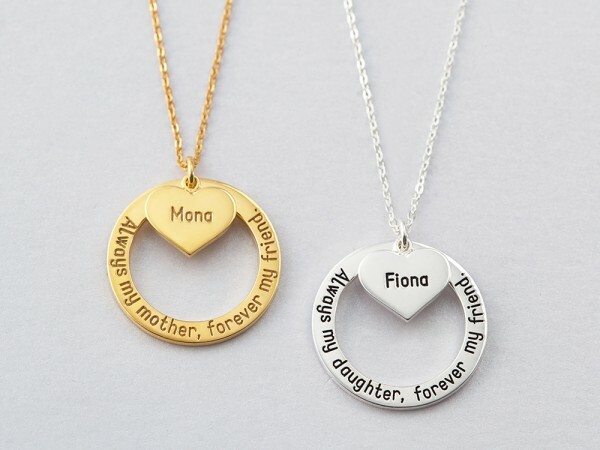 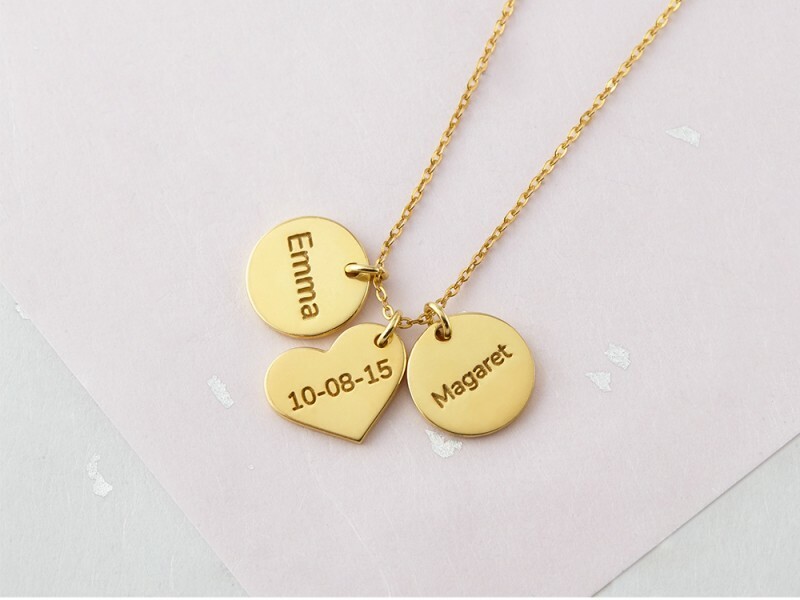 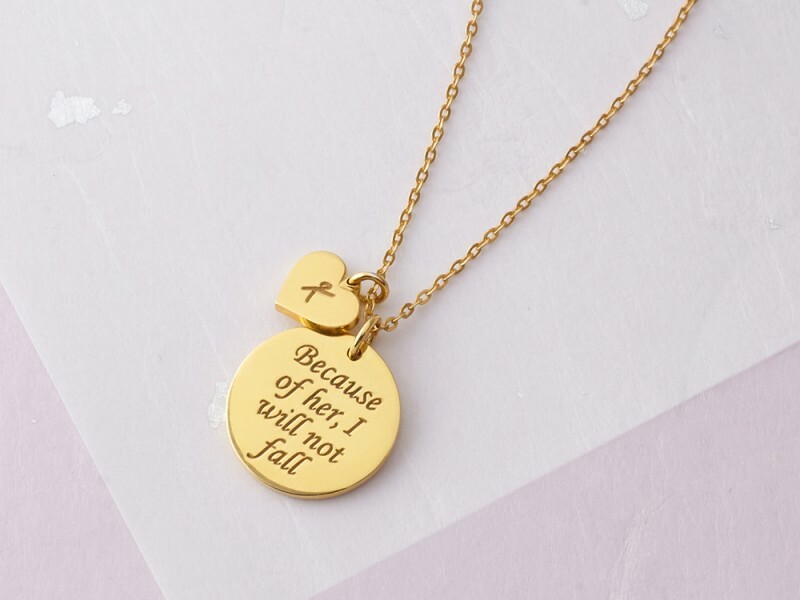 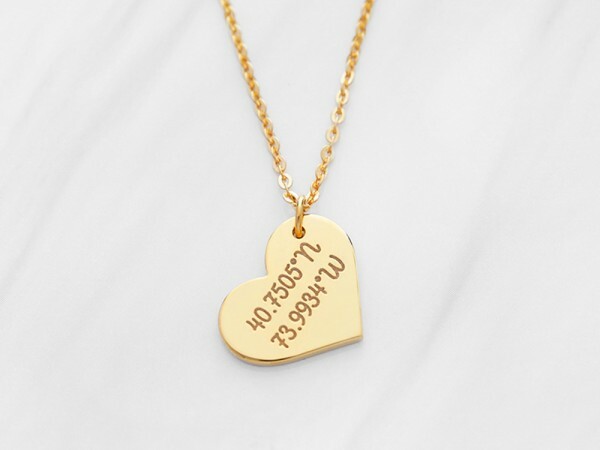 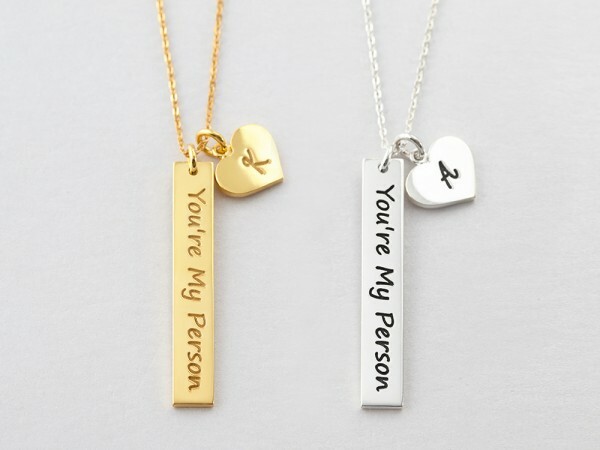 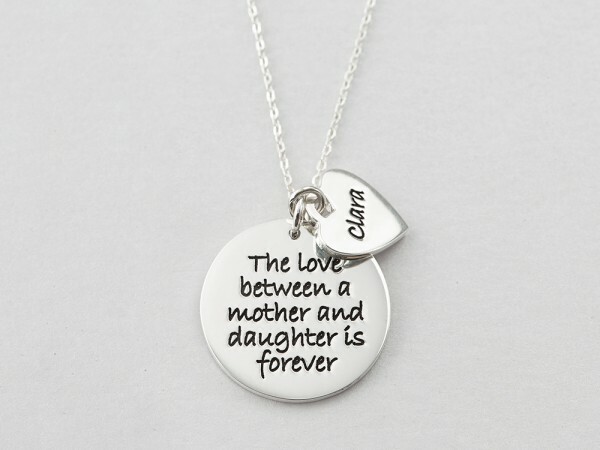 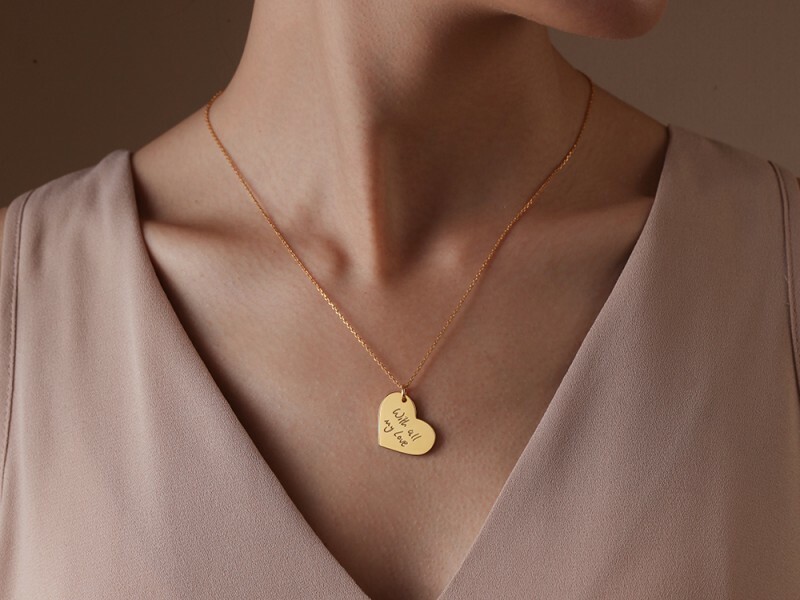 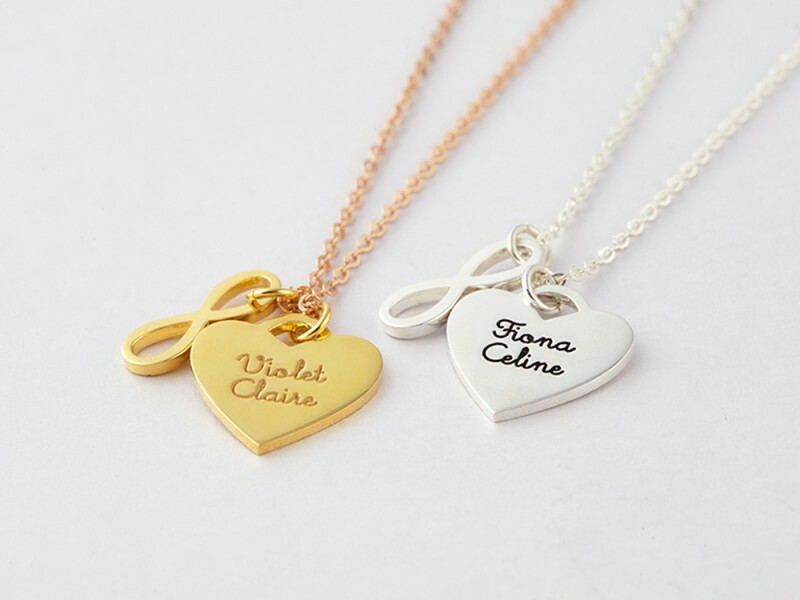 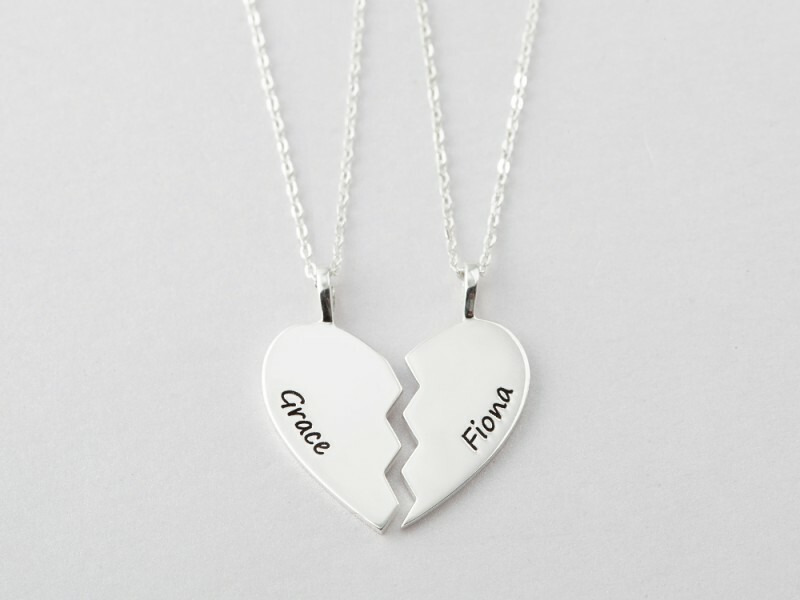 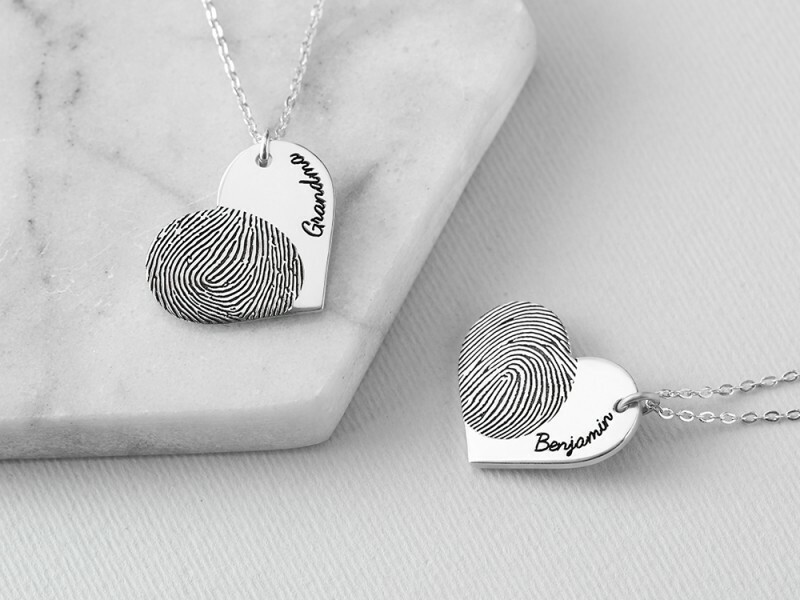 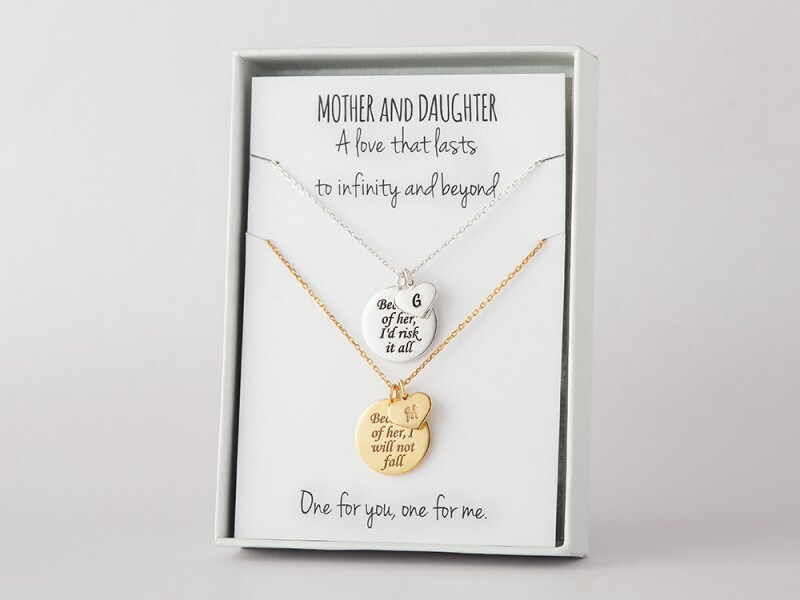 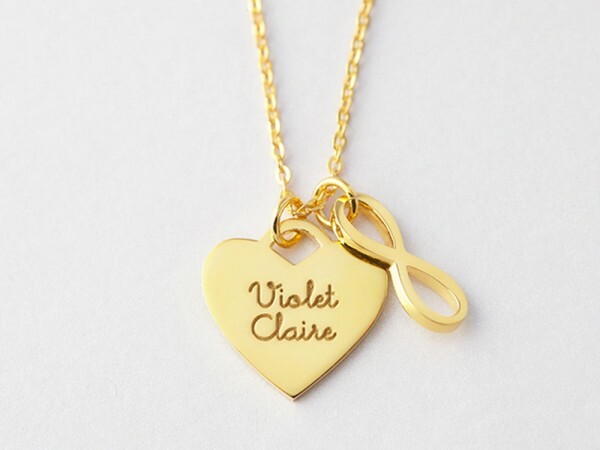 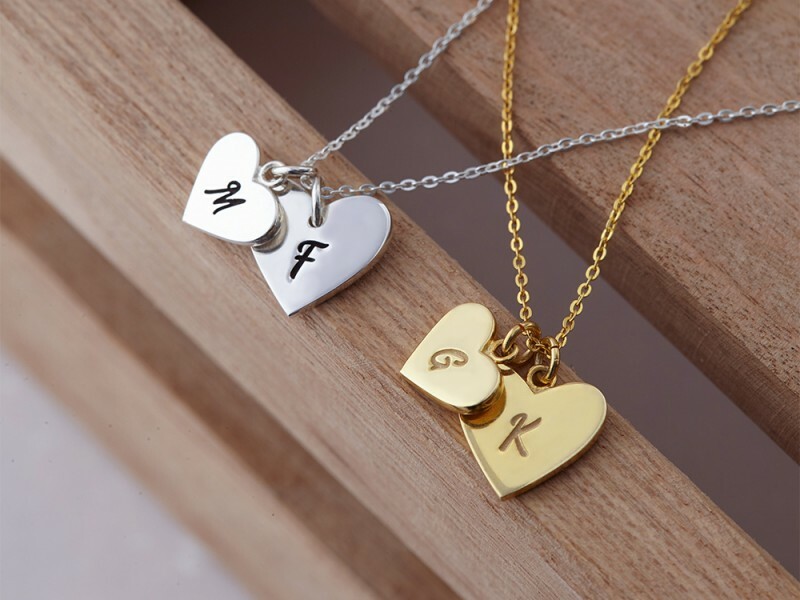 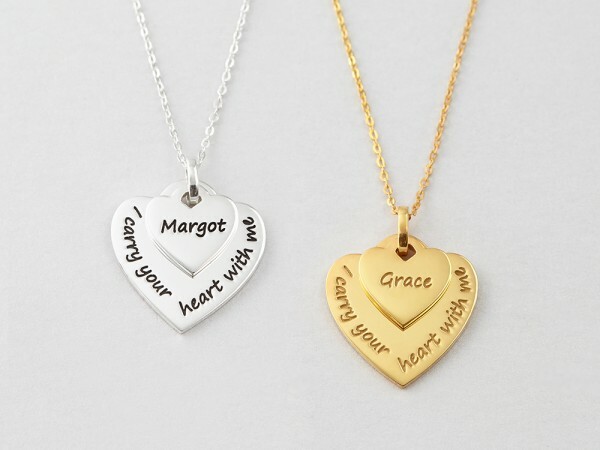 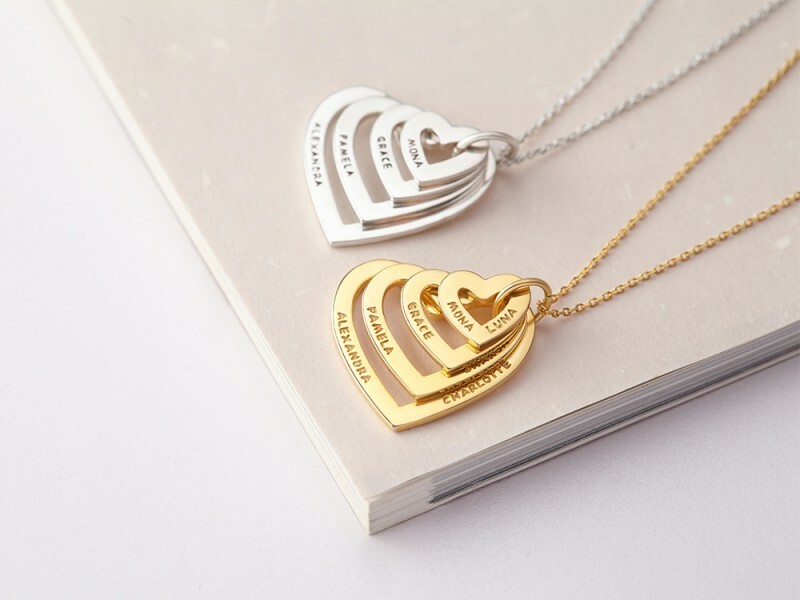 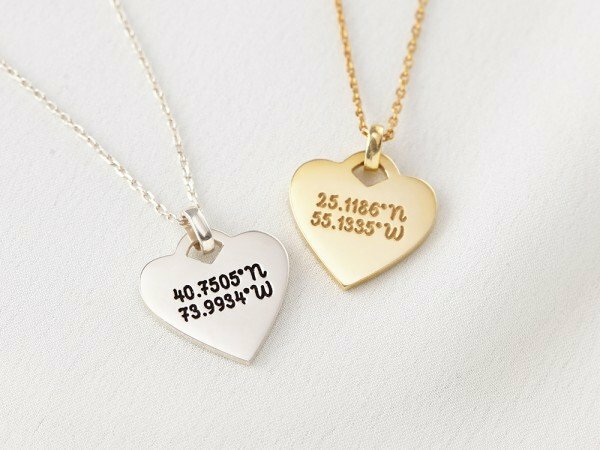 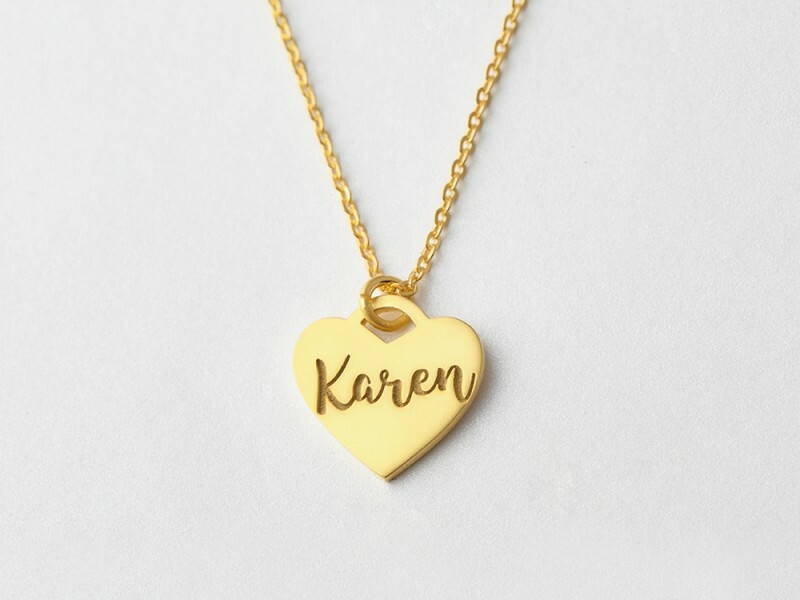 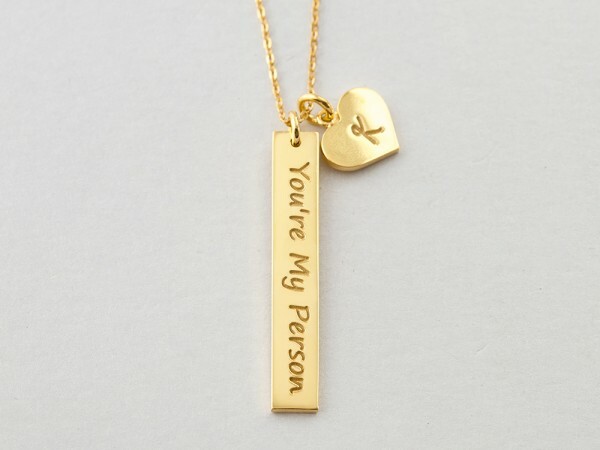 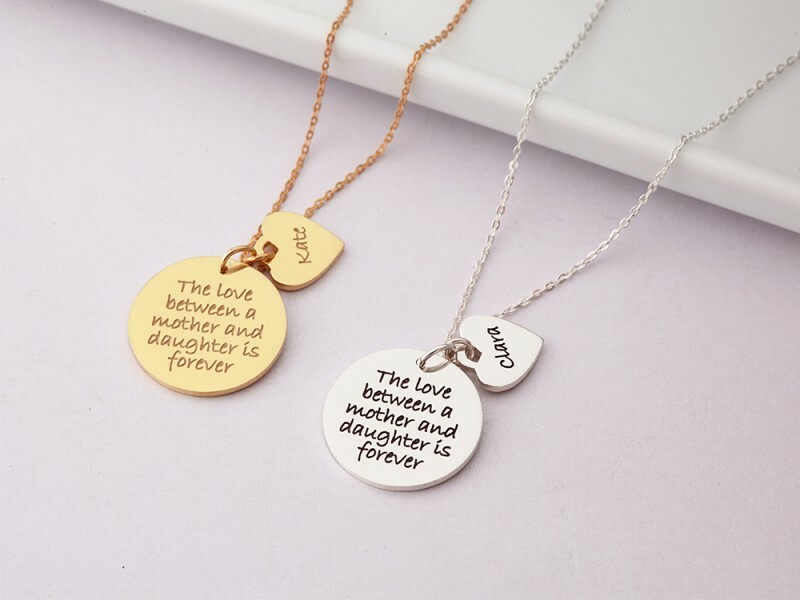 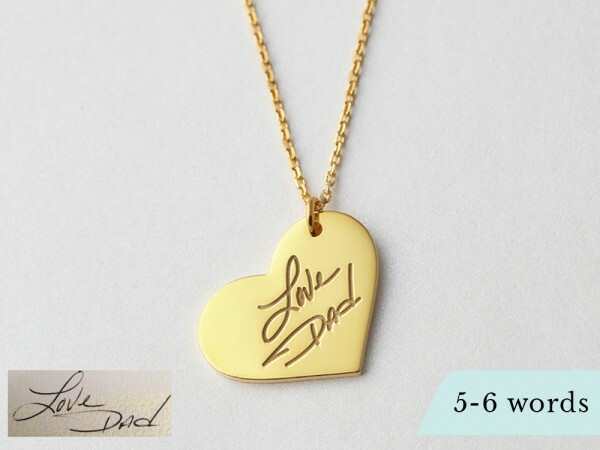 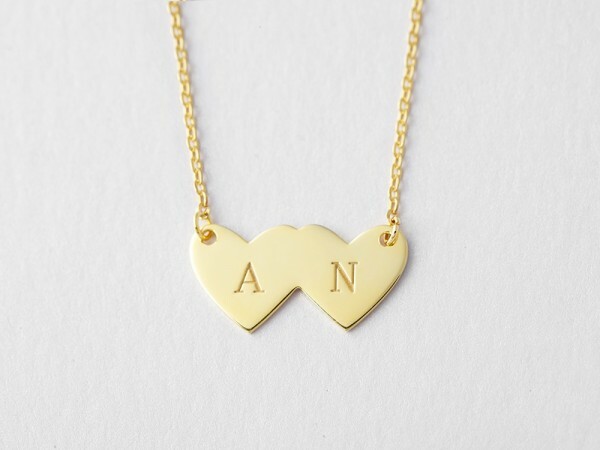 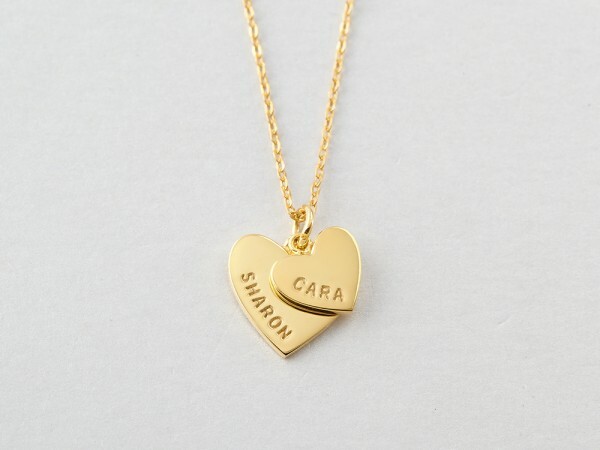 Two piece heart necklace is great for boyfriend to show their love to their girlfriend, while an infinity heart necklace is great for children's names or family names. 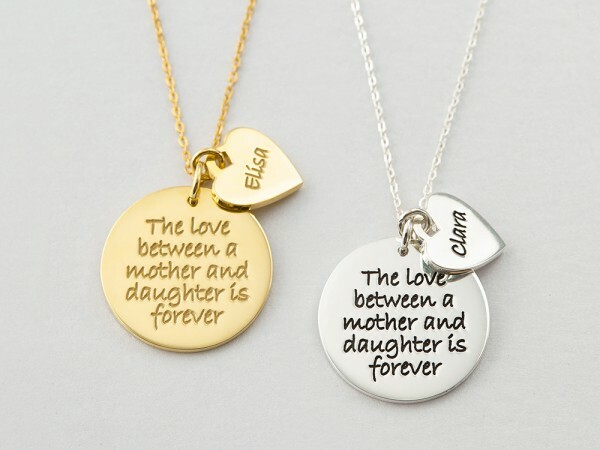 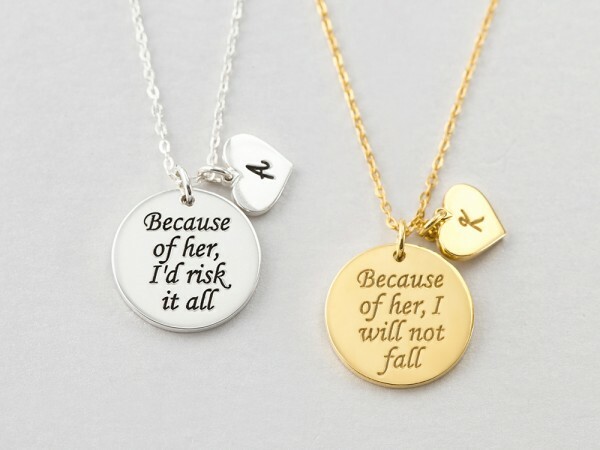 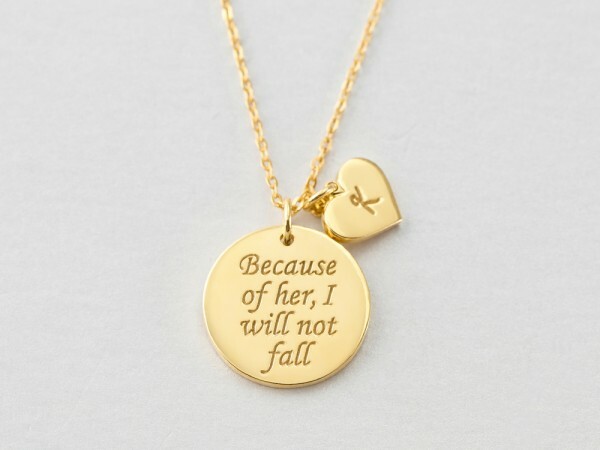 All products handcrafted in sterling silver with 18K yellow and rose gold options.